I've been here a few times and had La Bandera each time. La Bandera is a very tender, flavorful chicken dish. You get a ton of food for your money and it's always good; you can count on the consistency of their product from visit to visit. My only concern is that I often find bone fragments in my chicken. Still a five star truck, though. 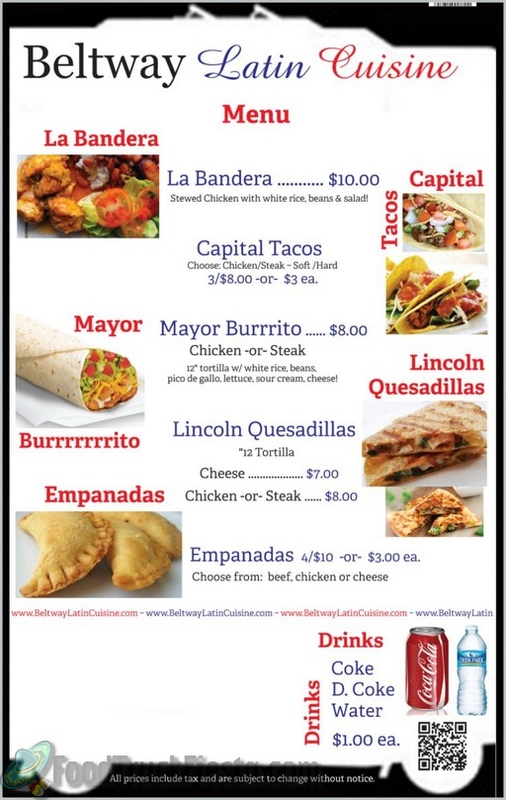 Since this was a relatively new truck on L'Enfant, I decided to give it a try. I ordered the La Bandera which is advertised to be a stewed chicken with white rice, salad and your choice of either black or red beans. I chose the red beans. The food was flavorful and plentiful; however, the wait was too long (subtract one star). You'll receive your beans in one container; your salad in another; and your rice and either chicken or beef in yet another. I may try it again. With all the food trucks in front of the Navy yard this one had the longest line, so I knew the food would be good. I ordered the LaBandera and the whole platter was amazing. The price was very good for the amount of food you recieved. I look forward to having the rest of their menu. All the food is fresh and cooked in from of you. Best meal I had from a food truck ever. 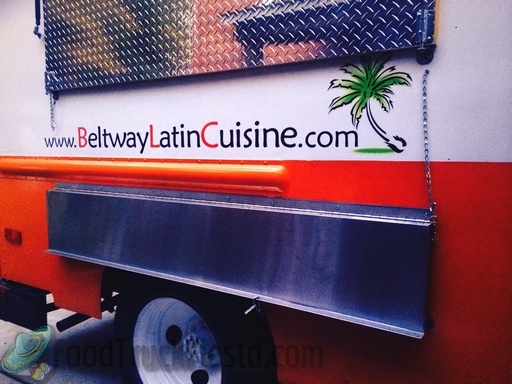 Beltway Latin Cuisine started serving various Latin flavors in the District in 2014!